Walmart Vows Canada-Wide Visa Card Ban ‘In Coming Months,' But..
Analysts believe Walmart is hurting from its war with Visa. 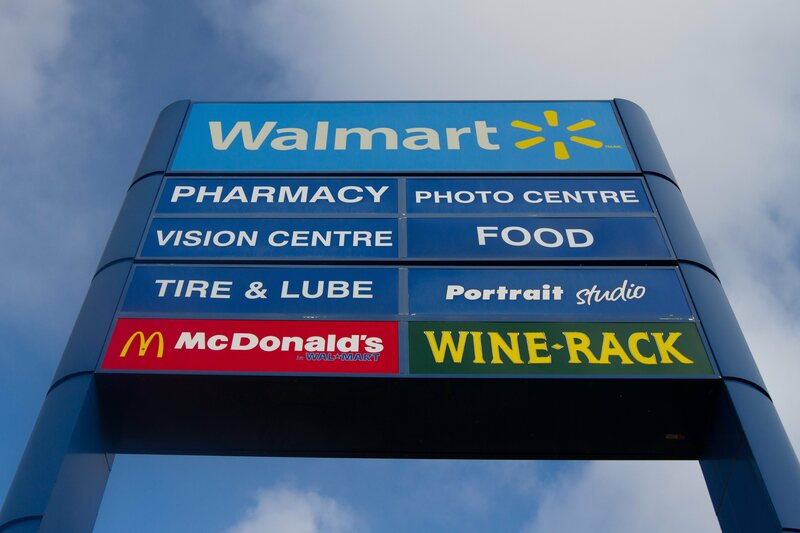 It’s been three weeks since Walmart Canada launched a financial game of chicken with credit card issuer Visa, and stopped accepting the card at its Thunder Bay, Ont. locations. Since then, the company has been very quiet about its plans to further roll out the Visa ban, prompting some observers to suggest the company may be having second thoughts about the fight. Officially, Walmart is sticking to its guns and saying that’s not the case. Retail experts note that Walmart’s fight with Visa isn’t limited to Canada; the two have gone to court in the U.S. over what the retailer calls “unjustifiably high” fees. Some observers have suggested the Visa ban in Thunder Bay is an experiment to see just how such a scenario would play out. If that’s the case, there is a possibility Walmart doesn’t like what it’s seeing. 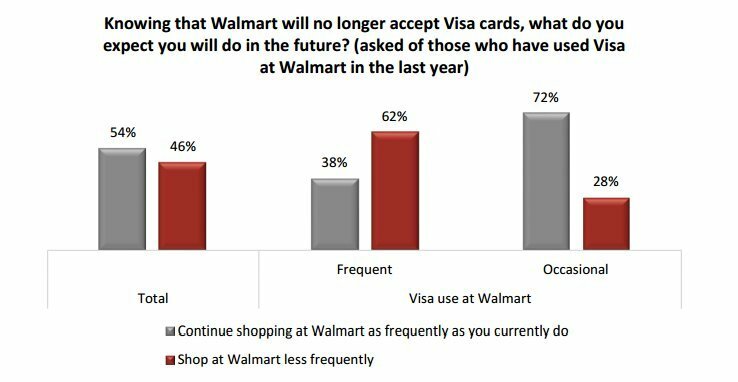 An Angus Reid poll taken last month found that nearly half of respondents (46 per cent) who used a Visa card at Walmart in the past month said they would be less likely to shop there if their card isn’t accepted. The retailer risks creating “a gaping self-inflicted wound if it follows through with its plan,” the Angus Reid Institute said. It’s forecasts like that which have many experts speculating if Walmart will back down in its fight after seeing the impact on its earnings. The retailer stopped accepting Visa cards in Thunder Bay on July 18. “The game's kind of come to a sharp end," Lindsay Meredith, a marketing professor at Simon Fraser University, told CBC News, adding he believes Walmart has concluded, "'Why don't we make a hasty retreat and let this one die?'" Ian Lee, a business professor at Carleton University, speculates that "they got the data back and it was not good." That "caused them to rethink and postpone a further rollout," he said. For its part, Visa is holding up its end of the fight, and is doing what it can to keep Thunder Bay residents shopping with Visas. CBC News in Thunder Bay reports that Visa has put up billboards across the city, including near Walmart locations, reminding consumers that the credit card is still accepted at many retailers. In press statements earlier this summer, Visa accused Walmart of using Canadian shoppers as “pawns” in the dispute. "Walmart is unfairly dragging millions of Canadian consumers into the middle of a business disagreement that can and should be resolved between our companies," Visa said. Though, for the time being, that count of Canadians dragged into the fight still remains in the thousands.